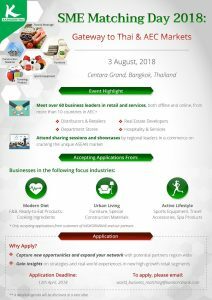 AEC export opportunity: The World Business Team at Kasikorn Bank are running business matching for SME wishing to export to Thailand and AEC. A good opportunity for quality Cambodian, Laotian and Myanma exporters to meet major regional buyers. The focus is on high growth retail segments… urban living, active lifestyle and modern diet. 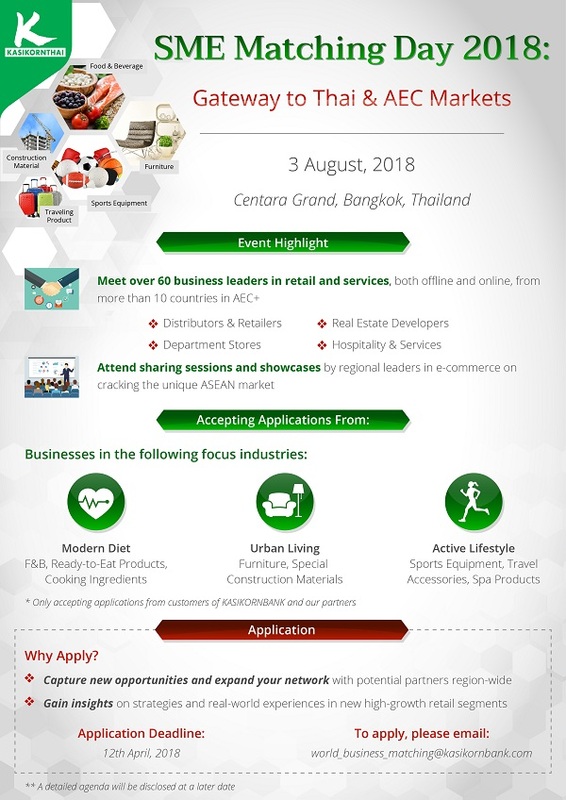 60 business leaders in on and offline retail, distribution, real estate and hospitality, from 10 ASEAN countries. This is the 3rd mega matchup – it only takes place only once every two years! Download PDF here and application form here. Email: world_business_matching@kasikornbank.com for more details.